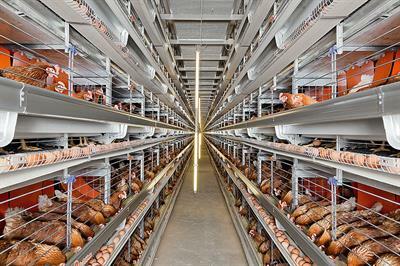 By Potters Poultry Distributor in Red Deer, ALBERTA (CANADA). 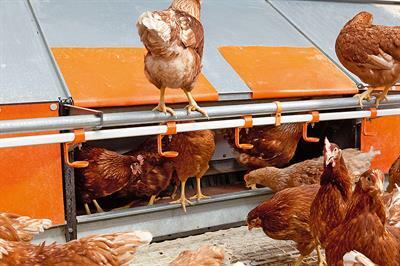 Nest lids are hinged to facilitate training the hens not to roost in the nests. 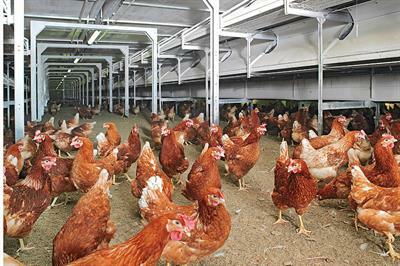 In the event of a power outage, egg tray covers are hinged for easy access for hand gathering eggs. 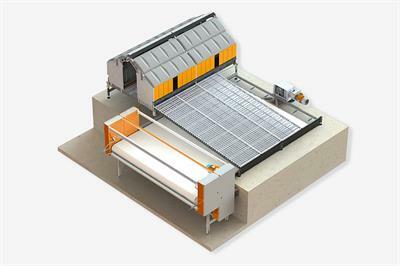 Installs easily on existing 3.7 m (12-foot) or wider slats. 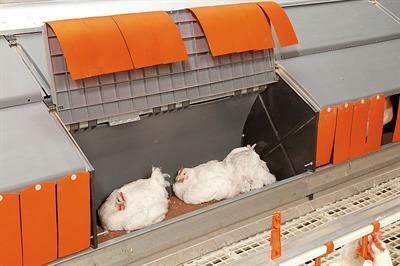 The Comfort 3 aviary system has been specially designed to create more living space in the house. 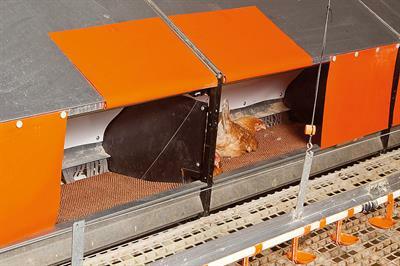 A manure conveyor with slats is placed above the Premium+® laying nests. 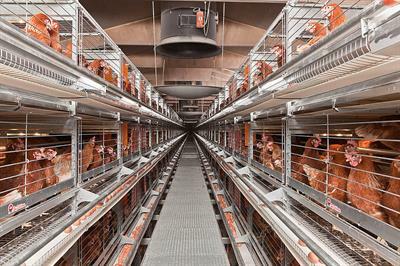 Stairs are attached to the sides so the hens can move upwards more easily. 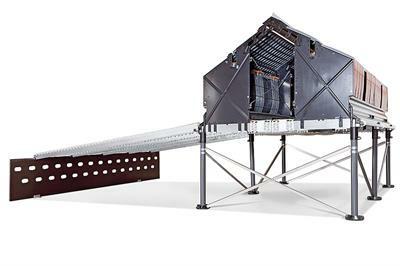 NATURA-Nova Twin with portal frame for house widths of more than 12 m. NATURA-Nova Twin consists of two rows of NATURA-Nova type 260 and portal frame. 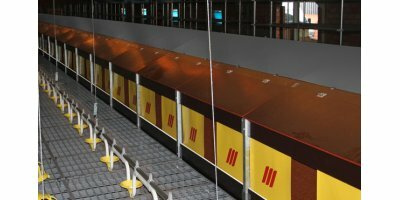 This means that all the advantages of NATURA-Nova aviaries also apply to this system. 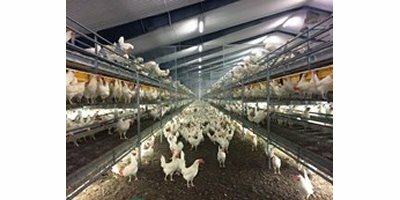 With the EUROVENT EU colony system, Big Dutchman provides you with everything you need for animal-friendly and efficient egg production. 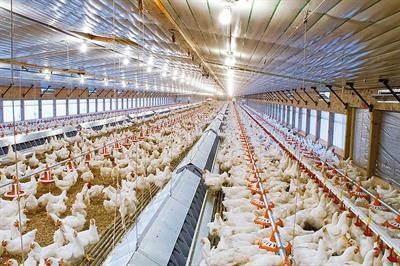 Two of the most important advantages are maximum hygiene and the best possible product safety. 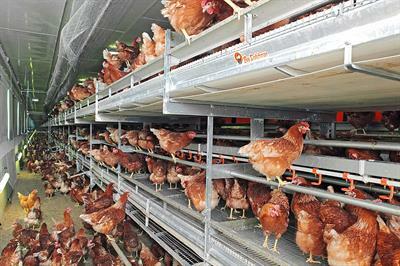 The enriched colony system fully complies with the EU Directive 1999/74/EC of 19 July 1999*.